^ Standing in the sitting room. Totally stint. And your favorite jersey is covered in lint. You want to sit down but you sold your chair. As they speed thru the finish the flags go down. The fans get up, and get out of town. Still driving and striving as it's you ^ that he bans. One bourbon, one scotch, you're banned. 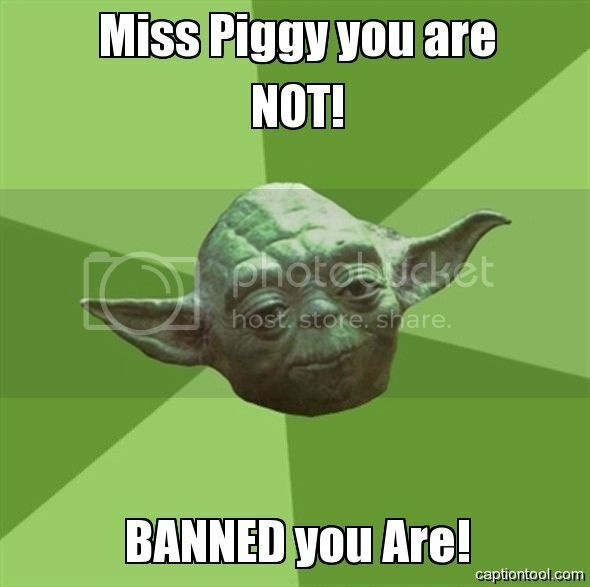 You are just out and out banned. Bucky Badger says you're banned. Out of 1,125 pages of posts, I'm sure someone has already said this, probably many times in fact, but the OP should be banned for saying "The Your Banned Game" instead of "The You're Banned Game". Perhaps the mods should be banned for not editing the topic title and fixing it? I can see the fnords. You're banned because the 13th post on the first page of this thread specifically brings up that very problem. ken worley wrote: You're banned for confusing a contraction with a possessive pronoun, bee-hatch! You're banned for not pointing out that anyone can correct the title in their own posts. DavidH wrote: You're banned for not pointing out that anyone can correct the title in their own posts. You're banned because it's too late to change the thread title (unless a mod does it), which means everyone who wants grammatical correctness has to change every post they make in this thread (unless they quote a post in which the title has already been changed). You're banned because that's what I meant. It doesn't take long to alter the title before posting.